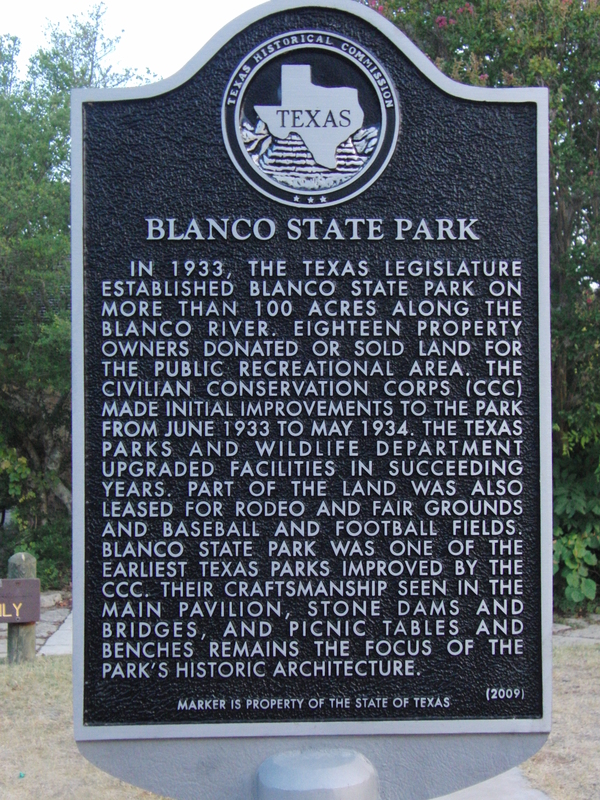 We spent the night at Blanco State Park during our “No Destination” Road Trip this summer. It was just getting dark as we pulled into the city of Blanco, after a full day of swimming at Hamilton Pool, and we were all ready to get some sleep. I was so relieved that not only was there a state park in Blanco, but it was RIGHT IN TOWN, and there wasn’t a locked gate after hours! 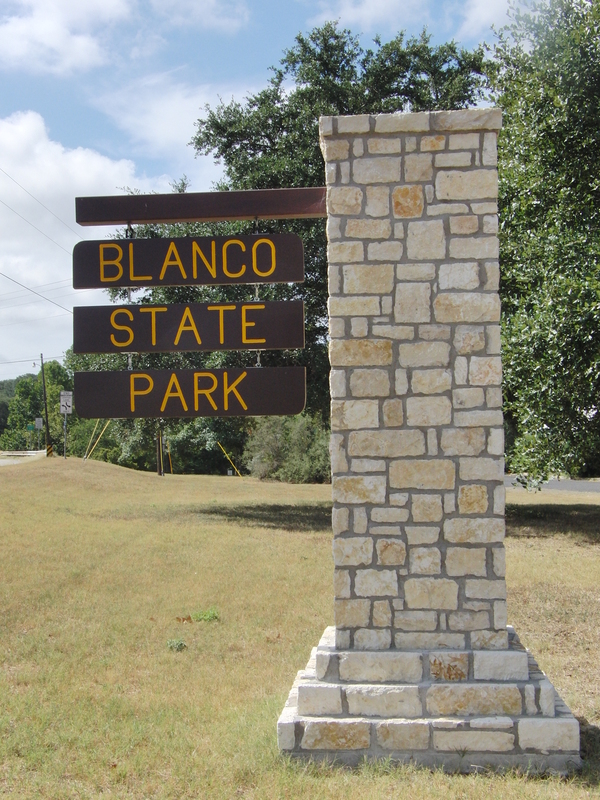 The park’s unique, almost urban setting, means that it sits right next to residential homes, and it’s only a few blocks from downtown Blanco. 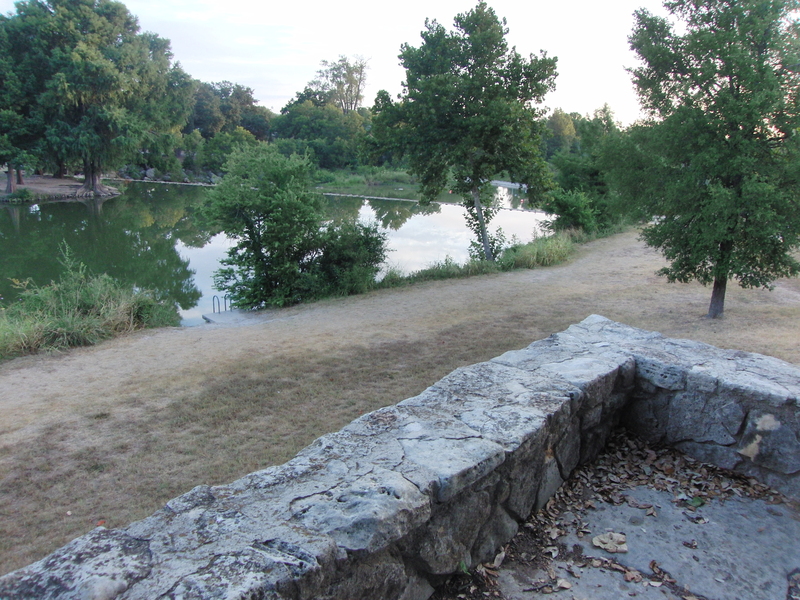 The state park straddles the Blanco River, which runs through the town. It’s spring-fed waters make a perfect destination for swimming, floating, fishing and paddling recreation. Several dams have been built along the river, so that the park has water during the summer months, even when most of the rest of the river is just a trickle. The river gets it’s name Blanco (Spanish for white) from the white limestone river bed. Picnic tables run along the shores of the park, and it was still early in the morning as family’s were arriving and picking their spots along the banks. Be sure to pack floats or inner tubes for a peaceful float in the calm waters! The park rents canoes and kayaks for exploring. Powered boats are not allowed. The river is stocked each winter with trout, and the park participates in the Tackle Loaner Program, which provides rods, reels and tackle boxes (hook, sinker and bobbers). I know it sounds crazy, but take a can of corn for bait, trout love it! A fishing license is not required while you are fishing in the park. Have you ever considered fly fishing? 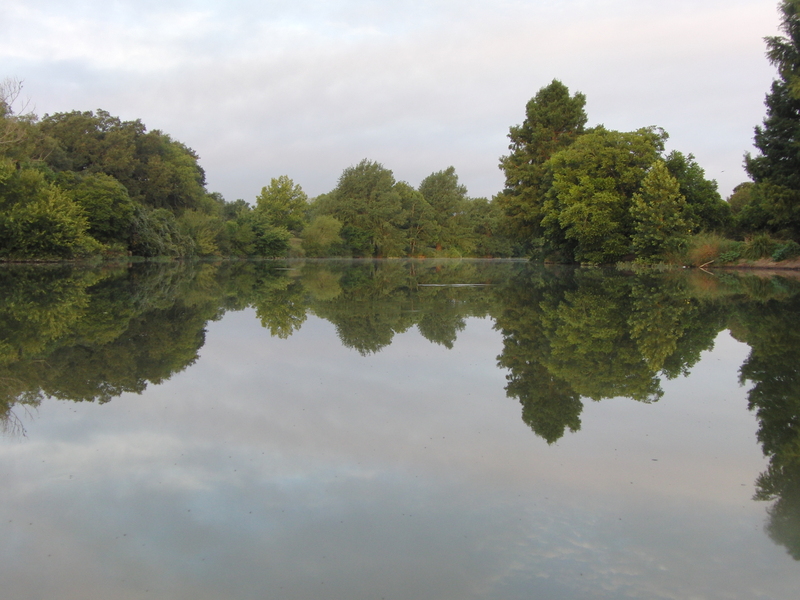 The Blanco State Park would be a great destination after taking one of the FREE fly fishing classes offered by Orvis, which has locations in Dallas, Austin, Houston and Lubbock. 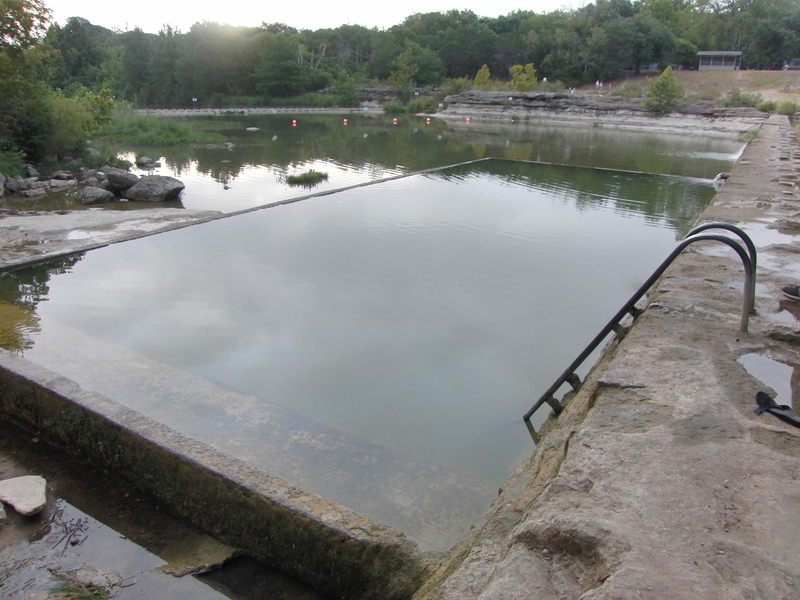 A small, shallow pool was built into the river, next to the dam, which is perfect for younger guest! 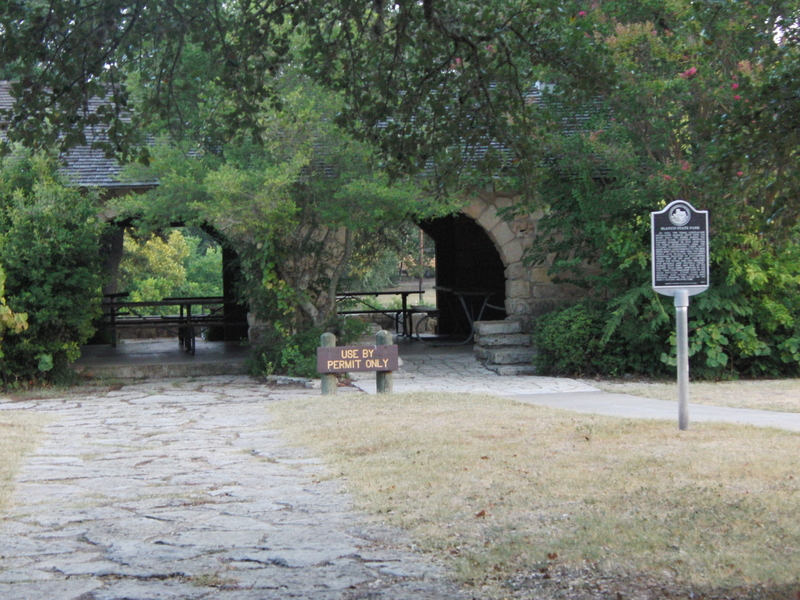 The park was one of the earliest of the Civilian Conservation Corps projects, in the early 1930’s. The park’s pavilion is one of those projects. Located right on the banks of the river, it would make a perfect group destination! A view of the river from the back of the pavilion. Can you see the ladder down at the river leading to the water? The camping loop was just a short walk away from the river. There are tent and RV sites, as well as shelters. and restrooms with showers. 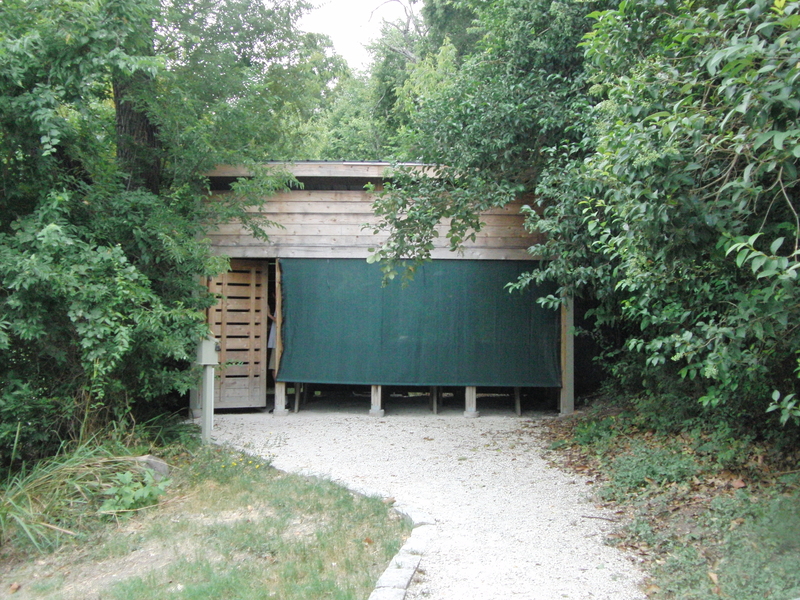 The showers, which are only for campers, have a code you must get at the gate or from a park host. We had a campsite in the camping loop (#13), which was convenient to the restrooms and a very short walk to the river. We were up with the sun the next morning, and out exploring the river and town, so the park’s close set campsites didn’t bother us a bit, but I did envy the privacy and beautiful setting of the shelters that are sitting on the river banks (there are only a few, and more shelters in the camping loop). The shelters have electricity, and a concrete floor. Just bring your air mattress (I prefer the big ones) or cots for a quick set up! 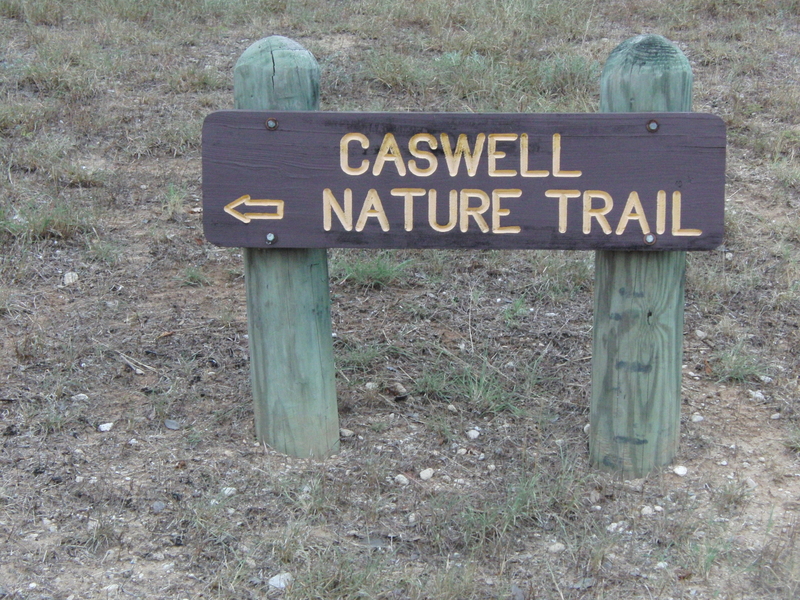 Inside the park is the Caswell Nature Trail, which runs about a mile down and back. Click HERE to see the park’s map. While we didn’t take our bikes, we would like to return with them. The park doesn’t have any trails, but they would make for a fun way to ride to Blanco’s downtown square for breakfast at Blanco Bowling Club Cafe. No matter what you miss in Blanco, don’t miss their breakfast! 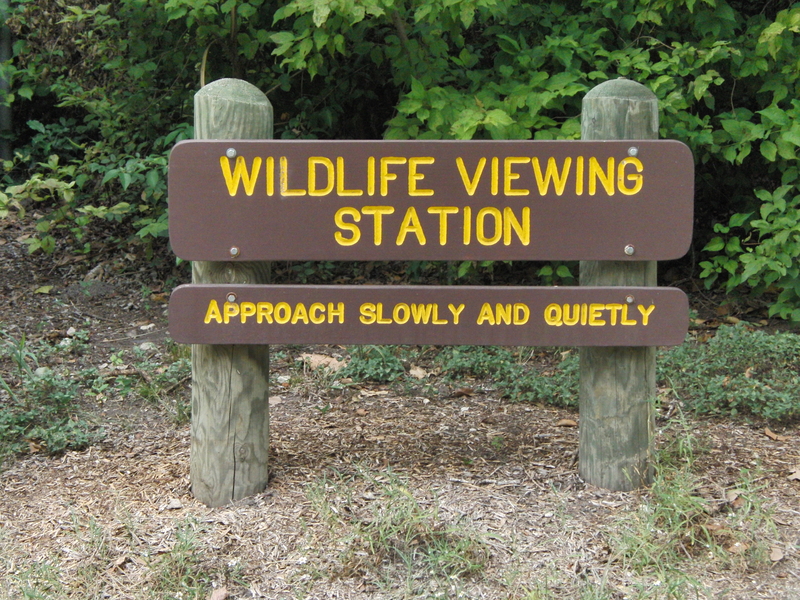 The park has a nice wildlife viewing station, too. It was fun take a few minutes and watch the birds and squirrels at the feeders. Nestled right off the road, the viewing station had plenty of pictures to help us identify most of the birds at the feeders. Not that all the park’s wildlife is hard to view. 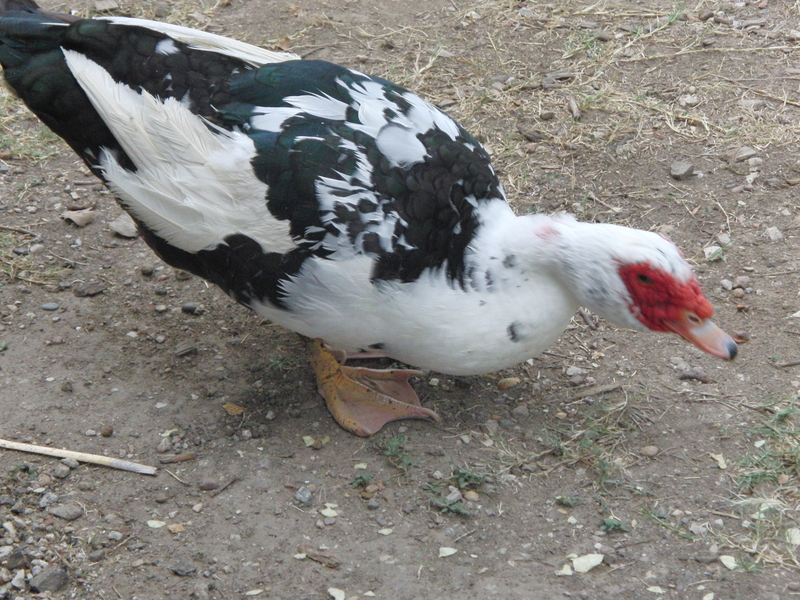 This little duck followed us back to our campsite from our morning walk to the river. Like an obedient puppy, it stayed with us most of the day, encouraged by a never ending supply of grapes being fed to it by my five year old. It even followed us back down to the water to swim! Only when our grapes ran out did it say goodbye and head to other campsites in search of food and friendship. 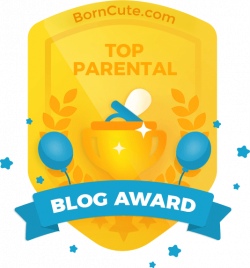 To read about our “No Destination Road Trip” from the beginning, click HERE. 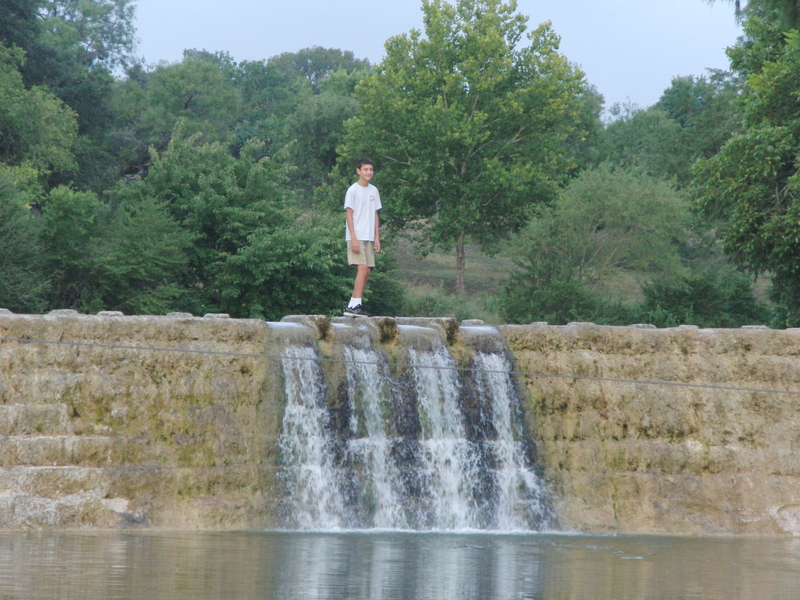 There is a fairy tale of a special place on the Blanco River called “the Narrows”, said to be “King of all Texas Swimming Holes”! I’ve never been. I would LOVE to go. The closest I have actually been is reading the article by Texas River Bum! Check out his article, check him out on facebook (you’ll love him, too), and then check out The Narrows, and tell me all about it! Click HERE. The Blanco Bowling Club Cafe has a terrific breakfast, and you can bowl! Click HERE to visit their website. 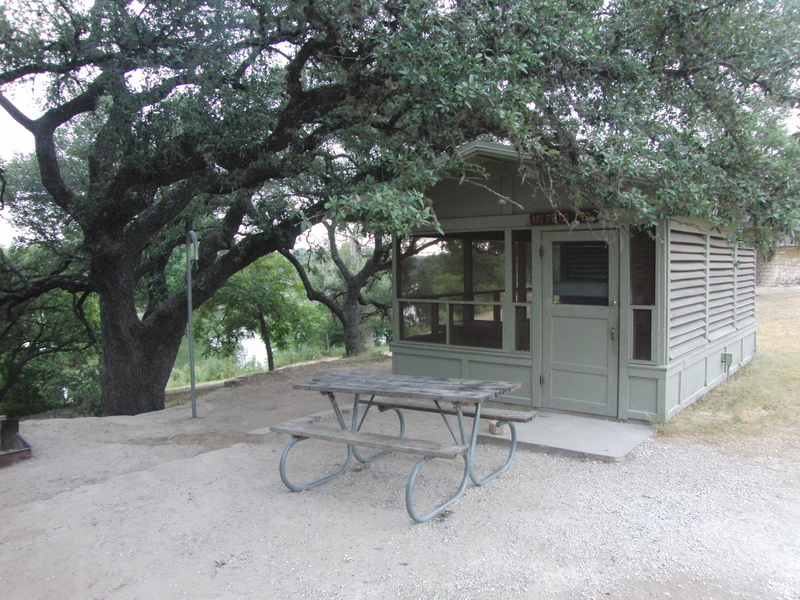 The Blanco Riverside Cabins. Click HERE to visit their website.